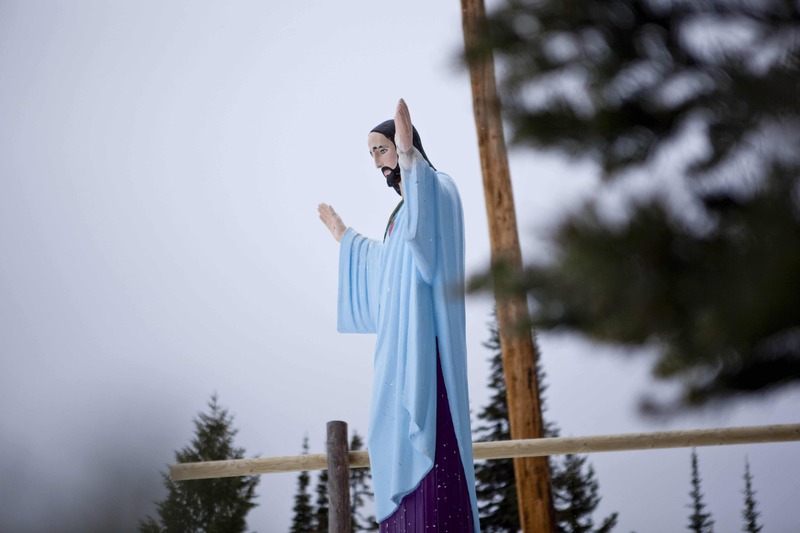 WASHINGTON, D.C. – A beloved World War II memorial, dubbed Big Mountain Jesus by locals, will remain standing on a popular Montana ski slope. The 60-year-old statue honors soldiers who fought against the Nazis in the Alps of Italy. Becket defended the memorial in a five-year battle against The Freedom From Religion Foundation (FFRF), a Wisconsin-based militant atheist group, that demanded the statue’s removal, claiming that its mere presence violated the First Amendment. After a lower court protected the memorial, the deadline for asking the nation’s top court to remove it passed on Thursday with nary a peep from FFRF. The statue now stands as a reminder that government cannot rewrite history or censor culture to strip the religious elements (see video). Erected after World War II to honor soldiers who died fighting Hitler’s forces in the Alps of Italy, the statue is a replica of the many statues soldiers saw across Italy and stands on public land in the middle of a commercial ski resort, accessible only to individuals who pay to use the private lift. An August 2015 decision by the Ninth Circuit Court of Appeals ruled that, in this setting, no one could reasonably believe the six-foot statue of Jesus was a government effort to impose Christianity. Instead, as a “local landmark” and “important aspect of the mountain’s history” the statue enjoys a rightful place on the mountain. When the Big Mountain resort hosted the U.S. Ski Championships in 1949, many of the top competitors were World War II veterans from the Army’s 10th Mountain Division. They teamed up with the local Knights of Columbus to commission the statue in memory of their comrades who never came home. The Forest Service permitted the statue and for 60 years, the statute stood undisturbed until FFRF in Wisconsin decided that something was amiss in Montana. After six months trying to find a local resident who would complain, FFRF filed suit claiming the statue violated the First Amendment. Becket congratulates the Knights of Columbus for standing up against efforts to push religion out of public life. For more information or to arrange an interview with an attorney contact Melinda Skea, director of communications, 202-349-7224,  media@becketlaw.org. Becket  is a non-profit, public-interest law firm dedicated to protecting the free expression of all religious traditions and has a 100% win-rate before the United States Supreme Court. For over 20 years, it has successfully defended clients of all faiths, including  Buddhists, Christians, Jews, Hindus, Muslims, Native Americans, Sikhs, and Zoroastrians  (read more).